Surprise! 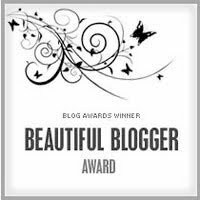 Karin from the lovely sewing blog Ancien-Nouveau has awarded me a Beautiful Blogger award! Thanks so much Karin – I really enjoy reading your blog too! And readers, if you haven’t come across Ancien-Nouveau in blogland yet, you really must check it out – Karin makes lots of lovely and inspirational things! 1. I live in a city with 20 volcanoes! 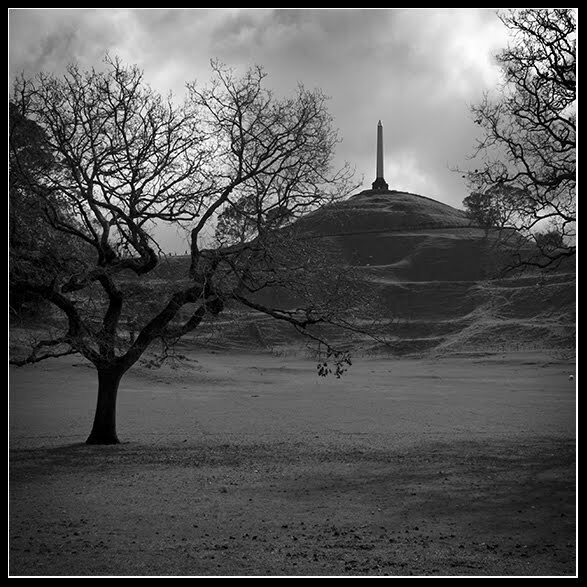 That’s right – dotted all around Auckland are the volcanic cones and craters of several volcanoes – luckily most of them are dormant or extinct. The last one erupted 600 years ago and apparently it is safe to live here, I certainly hope so…. 2. I used to collect stamps! Who didn’t as a kid – come on, own up! When we inherited my Granny’s collection, I spent ages sorting them all out – I just love arranging things and putting them in order! 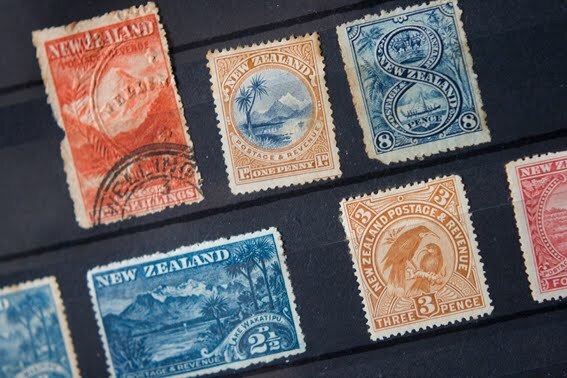 When I discovered a stamp dealer upstairs near my shop, I started buying beautiful old pictorial stamps – New Zealand was the first country in the world to issue pictorials in 1898 – finally stamps that weren’t of kings and queens heads! I blame the story of Little Miss Muffet – not great bedtime reading for children, in my opinion! Never mind about baking cookies with it – I eat it directly from the tin! I read somewhere that people tend to prefer one to the other, and I am definitely a mountains girl. 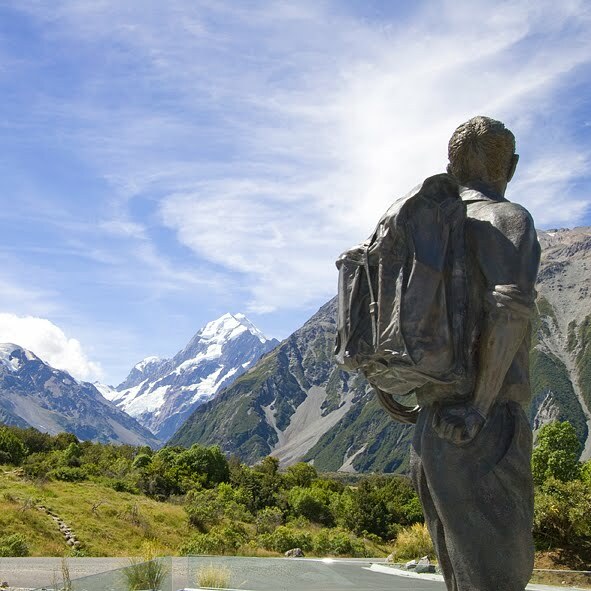 I love travelling down to Mt Ruapehu (another volcano – complete with skifield) for the weekend, or going to Mt Cook Village and breathing in that delicious glacial air. next to Fiordland National Park – one of the most beautiful regions of the world, with snow-capped mountains covered in native rainforest, and deep valleys and fiords carved by ice-age glaciers. Do try and make it there at least once in your lifetime. 7. I once had open heart surgery which inspired a whole collection! half the clothes in my wardrobe need mending or altering. Making something new is far more exciting! 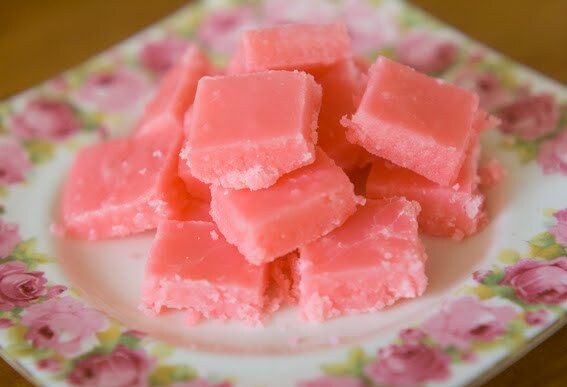 So I whip up some melt-in-your-mouth-fudge – it’s ready to eat in 10 minutes. Melt all together over low heat, then gently boil about 5 mins to soft ball stage, add flavouring and beat with wooden spoon until just before it starts to set in the pot, and quickly pour it into a greased dish. Some flavourings I like to use are: vanilla, coffee and walnut, ginger, coconut, cherry and coconut, mint, rum and raisin, pistachio, and I have even tried Milo when my pantry was a bit desperate! Enjoy your award folks – and thanks for all your lovely sewing blogs – keep it up! Thanks for the award, that means a lot. Great post too, really interesting. I'll pretend I don't want to run over and try out your fudge recipe. 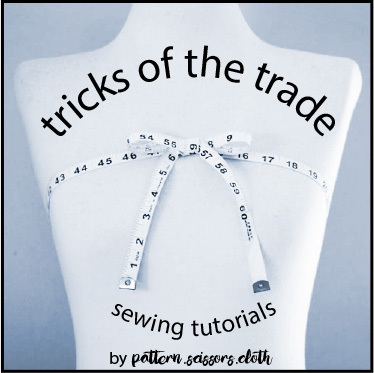 What a long way from a sheep farm in Fiordland to designer and seamstress extraordinaire. I bet the rain we've been having recently feels like a gentle spring shower compared to what you've seen in your youth. Could I use 18% cream (that I have on hand) or is it 35% whipping cream? It looks delicious! Hi Tracy – I usually just use milk, but cream makes it a bit richer and more decadent! I'm not sure what 18% or 35% cream is, but I think any cream that isn't thickened and pours like milk will do. 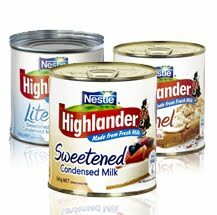 I also like condensed milk out of the can! Our cans look different that yours but I like to bake about once a year just to eat the extra condensed milk. Yum! I also hate mending, or altering. I agree, so much fun to start something new. So much potential!! Beautiful photos. I'd love to visit NZ someday! Aw thanks! I need to get on these awards!